Robyn Gobbel, LCSW | Parenting. Adoption. And Adoptive Parenting. If I’m not fully committed to the process of unfolding, to solidly standing in “I wonder what is going to happen next” with a deep willingness to go where my client needs to go, I will inevitably slip into a state of fear when the next moment doesn’t go as I wanted or expected. This slip into fear will pull me out of embodied integration, out of ventral vagal, out of social engagement. And now connection and safety are gone because my client no longer has access to my ventral vagal state as a soft place to land. The beacon has gone out. When we are afraid of what’s unfolding our system will move toward rigidity (agenda, judgment) or chaos. This could be such a small shift that we aren’t even aware of it…but neuroceptively our clients become aware. Afraid that we don’t know what to do. Afraid that we aren’t a good therapist after all. Afraid of what their parents (or the insurance company or our boss or whoever) will think. Afraid that without a protocol, you lose the containment in the session. Afraid of the space of “I don’t know what is going to happen next.” Afraid that without our client’s validating that we are good, that maybe we really aren’t. Be fiercely committed to the process of self-knowing. Be fiercely committed to the practice of staying in curiosity. Be fiercely committed to the belief that the client will go exactly where they need to go. They simply need you to go with. Stay on their path. Robyn Gobbel, LCSW, RPT-S is a child and family therapist in Austin, Texas specializing in adoption, trauma, and attachment counseling. Stephanie Grant, PhD is working in the town in grew up in! I’ve followed her on the internet for a while and then over the Christmas holiday, my sister-in-law mentioned her to me because they have a mutual connection. I decided enough was enough and I needed to get connected to this early childhood trauma expert. She was generous enough to agree to do this webinar! This one-hour webinar will explore the effects of trauma in pregnancy and infancy. It will cover topics such as resiliency, infant development and mental health, and warning signs specific to children who have been affected by trauma during pregnancy or as an infant. Participants will be able to understand what trauma can look like in a infants and toddlers, and how it can affect development. When we are with our people- our children, our clients, without judgment and without agenda, we are offering them a space within which their neurobiology could take a step toward integration. To be so present with someone that we can be patiently curious about what is going to arise in the next moment is the essence of the therapeutic experience. The moment I experience a sense that what I need to have happen…whether that be because I’m following a protocol, or I’m feeling the desperation of a parent for me to fix their child, or I’m having a very normal moment of therapist vulnerability and I need my client to prove my worth, or any number of other reasons why I leave the present moment of curiosity and move into one with agenda and judgment….is the moment my client is once again left alone with their pain, sadness, and loneliness. Cultivating this presence of stillness while still being ‘dynamically awake’ (Bonnie Badenoch) is a practice that requires care, attention, and diligence. It’s a practice of experiencing someone else’s full non-judgmental and agenda-less presence. It’s a practice in mindful awareness so that I can begin to track the felt-sense in my body as I move into agenda. It’s a practice in humility as I welcome the unknown. Connection and safety are not left-brained constructs that we answer with a logical check of the facts. Connection and safety emerge out of the presence and curiosity…the commitment to staying fully present and embodied with ourselves and our clients. Online Attachment & Neurobiology in the Play Room Conference!!! The Alaska Branch of the Association for Play Therapy is really pushing boundaries and innovation this year. The state of Alaska is HUGE! Twice the size of Texas, at least. Which y’all, is HUGE. You can drive 10 hours and still be in Texas! Getting Alaskan play therapists together for an annual conference is definitely no easy task! But the Alaskan APT maintained a commitment to bring high quality training to their members by organizing an ONLINE conference!! They are holding live conference viewing in three venues so members can still get together with each other. But the best part?! This online format means it’s open and available to ANYONE around the world! This is a LIVE conference, meaning you must be present for the entire conference- the recording will not be available. This is mostly a CE issue, though I know it’s a bummer for many. April 12 & 13, 2019! Alaska time, which is one hour behind the west coast. So 9am in Alaska will be 10am in Portland, 12pm here in Austin, and 1pm in New York City. It’s coming up fast!!! Day 1- “Cultivating Resonance- Embracing the WE in the Therapy Room” based on the theory of relational neuroscience with an emphasis on play. 1) Define resonance as informed by play therapy theory and the relational neurosciences. 2) Describe how the felt-sense of resonance allows for integration in the play therapy client. 3) Use the concept of resonance into play therapy treatment planning. 4) Describe the impact of person-of-the-play-therapist when cultivating resonance. 5) Create a plan for staying therapeutically present when practicing play therapy. 6) Identify the relational opportunities presented during inevitable play therapy “rupture” moments. 7) Establish a “repair” plan for response to play therapy ruptures. 8) Explain the importance of helping families cultivate connection and attunement. 9) Prepare for play therapy parent consultations so that the concept of resonance can be introduced to intergenerational play sessions. 1) Participants will demonstrate an understanding of brain development when working with play therapy clients and how this relates to their play therapy client. 2) Participants will increase their knowledge and apply playful ways to teach play therapy clients about their brain. 3) Participants will explain how to use co-regulation as a building block to self-regulation in the play therapy room. 4) Participants will discuss brain-based strategies with play therapy clients to invite cooperation and connection during challenging play room moments, including transitions. 5) Participants will analyze symptoms, diagnoses, and challenging play room behavior through the lens of relational neuroscience and learn treatment interventions that focus on connection and co-regulation with play therapy clients. 6) Participants will demonstrate ways to work with parents to increase their capacity for connection and co-regulation with play therapy clients and in the playroom. I hope you’ll make it!! My friend Eileen Divine at http://www.FASDNorthwest.com introduced me to Jessica Schaffer a few months back, after Eileen and Jessica spoke at a conference/retreat for parents up in Portland, OR. Eileen raved about what Jessica had to offer parents that is based in hard science yet relatable and practical for struggled, stressed, and overwhelmed parents. Because if we can’t stay regulated, our kids have no where to land. They are spiraling without a possible life preserver. We can’t really control if they TAKE the life preserver, but we can control if we offer it. Offering our regulation is offering the life preserver. And ultimately, strengthening our own nervous system just plain and simple allows us to feel better. So that in and of itself is a great reason to practice. In “Nervous System Know-How: Why Your Nervous System is your Most Effective Parenting Tool” Jessica is going to give us actual practical take-aways, including a great handout of things to practice- that will help your nervous system return to health and regulation. I’m looking so forward to this, because frankly, I need this too!!! 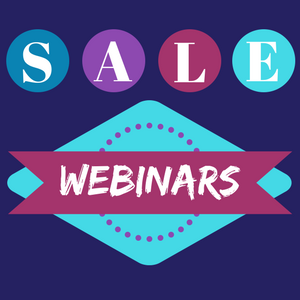 As always, webinars are only $14. You can attend live OR just receive the recording. Everyone who registers will receive unlimited and lifetime access to the recordings. This webinar is already quickly filling up. I don’t think I’ll have to limit live attendees, but you never know! Did you know that the capacity for self-reflection dramatically increases the ability to raise a child with secure attachment? We already know that attachment patterns become passed down intergenerationally, and without a doubt- they can be hard to shift. But growing in our capacity for self-reflection can allow for the same shift toward secure attachment! Being able to be present without selves- mindfully, accurately, honestly, while still being present with other’s, is a very important, and very underdiscussed parenting skill! Are you new to my webinars? They are only $14 for a one-hour webinar that you can watch LIVE and/or receive lifetime and unlimited access to the recordings. That’s right- you can ALWAYS view the content- no expiration. So you don’t HAVE to attend live (though it’s more fun!!). And if you DO attend live, you get the same access to the recordings. Jump on over to my website to see the rest of the details and to register by CLICKING HERE! I’ve discovered over the years that the story of my play therapy journey is not unique. I first danced with the identity of play therapist early in my career- fresh into the field with my master’s degree training (which included a course in play therapy) and a handful of CEs. I was working pretty exclusively with children with what we would now call developmental or complex trauma- back then, we just had the diagnosis of RAD as a framework for treatment planning, case conceptualization, and intervention. I was really struggling with using my play therapy skills with that population. Uncertain about my theory or my skills- maybe I was just a bad therapist!! !- I found a mentor who specialized in the same population (oh bless you, Steve Terrell and your willingness to take on my fumbling and exploring- you changed the trajectory of my career) and he helped me see the need to expand beyond the play therapy skills I had in my tool box. I jumped into trauma trainings- including EMDR and somatic experiencing. I immersed myself in attachment theory and later, Interpersonal Neurobiology. I continued to engage in play therapy trainings along the way, but primarily focused my educational pursuits outside the field of play therapy. But obviously, I was indeed PLAYING with children and definitely, play was the primary intervention. However, I was coming into my identity as a little bit different kind of play therapist. I discovered right away that I could not keep a child-led play therapy office. It was DESTROYED and also- just didn’t feel right. There were moments where I felt whip-lashed by a tornado of chaotic energy and couldn’t figure out how to help. It was like watching someone flail in dark waters, terrified of drowning, and having no skills to help or even a life jacket to toss their way. Just like a drowning individual cannot be expected to use their “self-organizing drive toward healing” (which does in fact exist in ALL OF US) I couldn’t expect that from these children. I can now articulate that the children in my office were not neurodevelopmentally ready for toy-based play. They certainly hadn’t progressed to symbolic or metaphor-based play. Regardless of age, their neurodevelopment simply lagged far behind due to the severity of the abuse and neglect they experienced. They needed highly engaged, highly sensory, and highly relational experiences for containment and coregulation. But I didn’t really understand WHY this was true. Why wasn’t child-centered play therapy ‘enough.’ Was I doing it wrong (totally possible)?? Along the way, I stumbled across the works of Bruce Perry, Bessel van der Kolk, Daniel Siegel, and my now mentor, Bonnie Badenoch. There was certainly a common thread- the RELATIONSHIP is the primary healing agent in all therapies, and completely non-negotiable for children with relational trauma in their history. But these weren’t play therapists. So I integrated what I was learning about trauma, attachment, and engaging the body in the therapy room. I listened to experts in the field of attachment trauma about the importance of involving families in the therapeutic experience. And sure enough, the kids I was treating were in fact getting better. A few years ago, I came back around to feeling the pull toward the field of play therapy. Play therapy is so inherently body-based, so inherently right-brained, so inherently ‘beyond words.’ Neuroscience is now so clear about how play in and of itself is healing to the traumatized nervous system, as well as a trait of a healthy nervous system (Panskepp, Porges, and others….). Plus- I was seeing a troubling theme in families feeling as though therapy with a play therapist wasn’t effective for their child with complex trauma. Many of my clients were coming to me after previously engaging with another therapist- GOOD therapists- but often a more traditional child-centered play therapist. They complained of feeling excluded from the process and little to no progress being made. They were floundering, didn’t know how to parent their child with what felt like extremely bizarre behaviors, and like failures as parents because traditional parenting strategies were not working. But there are so so so many fantastic play therapists out there, and play is the absolute more PERFECT intervention for children with complex trauma. I had to figure this out. I dove harder into finishing my Registered Play Therapist credential. I had already accumulated about 2/3 of the educational requirements but needed to finish them up. I also needed to find a great supervisor- one who could support my curiosity and interest in practicing just a little bit differently from a traditional play therapist. Luckily, that person lives right here in Austin (Marshall Lyles– the world’s greatest play therapist and supervisor). Finally, I began to get closer to clearly articulating my approach to play therapy and the WHY behind my approach, and I discovered that where my instincts were leading me is wildly supported by research. The brain develops sequentially- in order- from the bottom-up. Children with complex trauma, including abuse and neglect, are impacted in the very lowest parts of their brain. The lack of attunement and presence in their earliest moments has left them without a sense of self- who they are. They feel disorganized, chaotic, and empty. They don’t invite us into relationship and often times it doesn’t feel good to be with them. Thus, they continue to re-enact their trauma of abandonment and aloneness by pushing people away and making it feel as though they don’t even want relationship (they do- promise). Bruce Perry’s work taught us that the lowest parts of the brain need rhythmic, repetitive, relational, and somatosensory experiences in order to organize and heal. Dr. Perry is able to bring together the truth that RELATIONSHIP and following the child’s lead is non-negotiable (play therapists are good at this!! ), yet we can do those things while still being strategic about the types of experiences we offer to the child in order to best support their underdeveloped brainstem. He helped me conceptualize why these precious children would destroy my room and spin in their own trauma and disorganization. Bessel van der Kolk taught us that we MUST incorporate the body into trauma treatment. We can no longer divorce the brain from the body in any psychotherapy, especially not trauma work. Studying some of the experts in the occupational therapy field helped me weave together why the sensory deprivation that is inherent with trauma, abuse, and neglect in early childhood is directly related to the attachment cycle- and a way to strengthen attachment is to engage, soothe, and heal the body. The sensory experiences in infancy- combined with the presence of an attuned caregiver- weave together who we are. Literally. Without those experiences, we are chaotic, disorganized, confusing, and almost impossible to engage in relationship. And immersing myself into Daniel Siegel’s then emerging field of Interpersonal Neurobiology, ultimately studying intensely with my now mentor Bonnie Badenoch, helped me pull all these pieces together. The relational neurosciences are the best we have right now at defining abstract concepts like presence, attunement, and resonance. My work with Bonnie- who is just a genius in curating and bringing together diverse sciences and ideas- has helped me embody these ways of being. She has taught me WHY that lack of presence in early infancy is impacting the children so profoundly, and why it’s not enough to just SAY ‘the relationship is the healing agent’ but to really dive in and figure out how to BE relationally in the therapy space in a way these children need. And that this isn’t something I can learn from a book. I learned it…and continue to learn it….from engaging relationally with others- including Bonnie and my own therapist. And friendships and professional experiences that also value this experience of alive, resonant, ways to being together. The relational neurosciences now support therapy interventions that target the appropriate neurodevelopmental need of the client. Children with early complex relational trauma first need to rebuild a solid foundation through movement, rhythm, and sensory play. They need this in ALL parts of their lives, not just one hour of therapy per week. They need this embedded in a resonant, dynamically present therapeutic relationship (and ideally, their relationship with their caregiver). Working with clients in this way is intense! It requires a lot of energy, a lot of presence, a LOT of self-knowing, and a lot of humility. Sometimes this can be misperceived as being ‘directive’ or not following the child’s lead. This is quite the contrary. This type of therapeutic work with children requires an INTENSE amount of attunement and understanding of the follow-lead-follow dance of attunement, attachment, and resonance. It requires therapists to be fully alive and meeting their client’s in the exciting “WE” space that is co-created moment by moment. Children with complex trauma need to ‘take in’ the attuned, present, and resonant other. We allow them to do this because of our dynamic and not passive presence. Their mirror neurons soak us up, laying the building blocks for their sense of self AND regulation. This is intense work. This is not how I was trained! And this is not how I experience most therapists as being trained or supported by their consultants or supervisors. As the foundation gets stronger, as their sense of self develops and organizes, children will naturally move toward more expressive or symbolic ways of playing in therapy. The same way children naturally progress with their language or gross-motor skills, children naturally progress through their neurodevelopment. When children move into this next stage of treatment, I open up my room to look more child-led. Because we are complex, self-organizing systems, I trust that now that they have a more embodied sense of who they are, their systems will continue to move toward coherence and organization- as long as I continue to provide them with my authentic, attuned, resonant presence. This is not a time for relaxing, but there is a felt-sense of a more mutual relationship with a more defined little person in front of me- the same way this feeling changes as children grow from newborn, to early infancy, to late infancy, to toddler. We feel them becoming themselves. And then as needed, we begin to engage the cortical parts of the brain. We may identify ‘mixed up thoughts’ or talk specifically about coping skills. ALWAYS I do this through the medium of play (symbolic, movement based, sensory…I’m using play to describe a wide variety of different ways of being) so that we are embracing whole-brain learning as much as possible. We may create a specific therapeutic narrative, writing a book or making a time-line. We may do EMDR to target specific traumatic memories or desensitize present-day triggers. I don’t want to imply that children progress through this in a beautifully sequential manner. First this, then this, and next this. Oh, how I wish. This brings us back to why it is SO important for therapists to ALWAYS be working on developing their own embodied presence and sense-of-self. This is infinitely more important that any tool, strategy, or technique (though obviously those are important, too). Therapists must be supported to engage in ongoing opportunities where they are invited to explore themselves inside a resonant relationship. When we are able to be fully present and attuned, tracking ourselves tracking our clients, it becomes easier to track treatment that isn’t sequential. To flexibly move in and out of different stages of treatment as the child needs. Which brings me to my next big goal and project. Play Therapists…stay tuned. I’m working closely with Marshall Lyles to create exactly that. An ongoing, intensive experience where we weave together play therapy skills and strategies with a fearless pursuit of ourselves. It is going to be breath-taking. In the meantime, you can join Marshall and I in either Austin or Chicago this spring for “Embodying the Neurobiology of Attachment in Play Therapy.” You can also join us in Denver this July- I’ll be presenting Engaging the Body in Play Therapy and Marshall will be presenting Sandtray: An Attachment-Friendly Tool for Play Therapy Across the Lifespan. Then in late July I’ll be in West Michigan with Engaging the Body in Play Therapy!